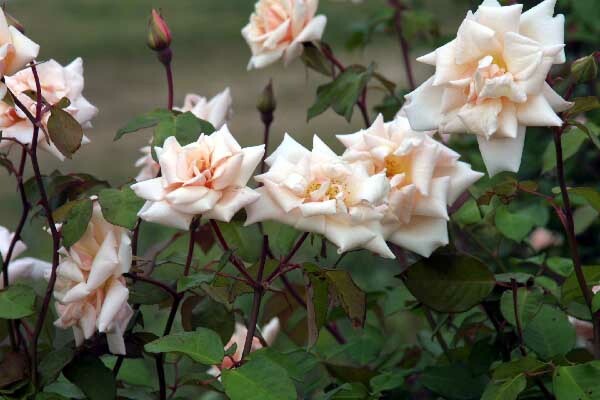 Could there be a more beautiful example of the Tea rose class? The buds of `Safrano' are a long-pointed saffron yellow color. They open to a double pale yellow. The new growth is plum colored. Its size can be from 4' to 6'. Like all our Tea roses, it seems to love the Texas heat. 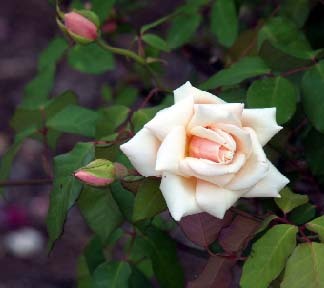 Bred in Angers, France in 1839 by Mons de Beauregard.